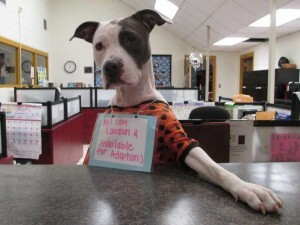 Therapy Dog in Search of New Home! 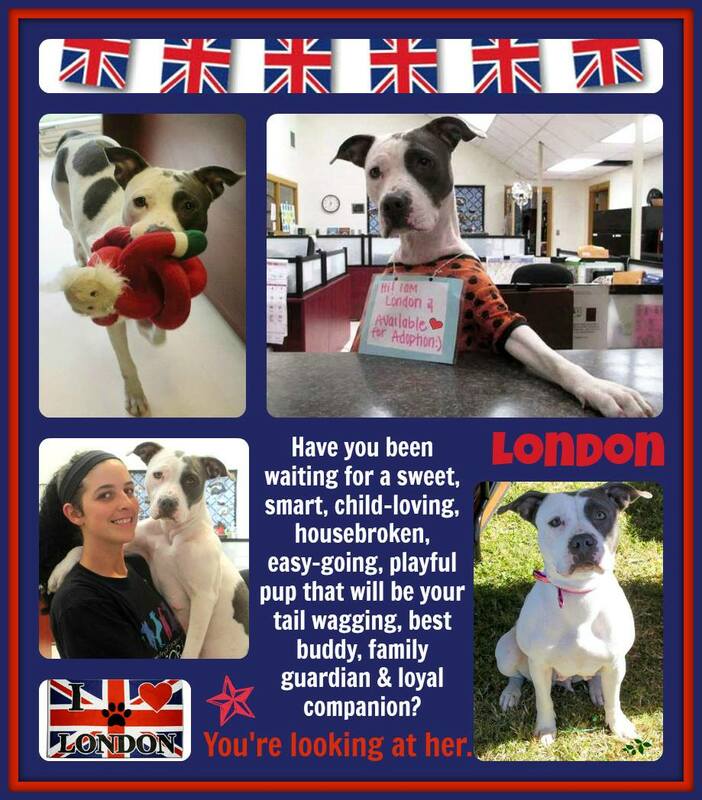 London is our sweet baby girl. She came to us and a day later delivered 10 beautiful pups, all of which got adopted. She’s so amazing that she become our official kid tester, as well as dog tester, at the Jefferson Parish East Bank Animal Shelter. Cats, however, are not her favorite. She recently participated in a Doggone Express program called From the Big House to Your House, where dogs receive training by inmates in correctional institutions across south Louisiana. She was trained in obedience for 6 weeks and also in therapy for veterans with PTSD and for children with autism and other disabilities. She was placed in a home with a veteran and his cat. Unforunately, the cat was a bit too much for her, so she’s now looking for her forever home where she can put her skills to use and bring love and happiness to a lucky family! London is located in the New Orleans area. 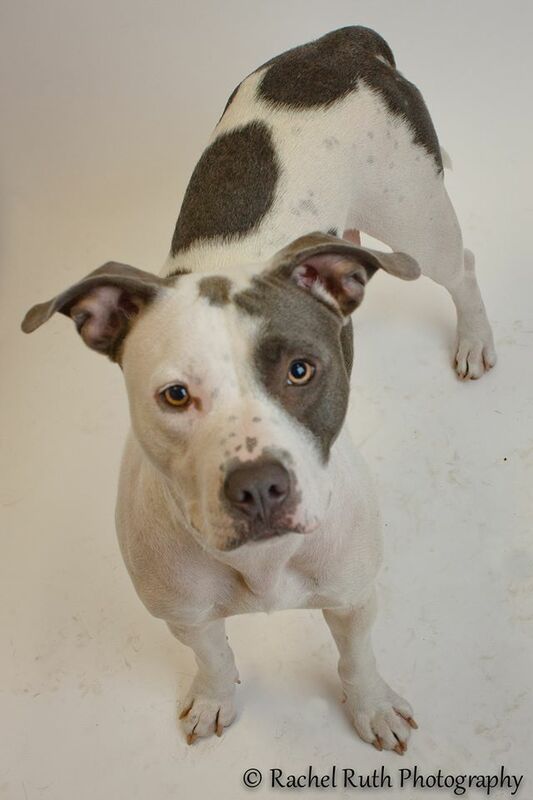 For more information or to meet her, please contact the Jefferson Parish Animal Shelter at 504-736-6111.